Boston Cream Pie Doughnuts Try your hand at homemade doughnuts! 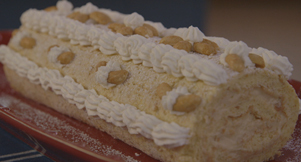 Peanut Vanilla Chiffon Roll You'll go nutty for Brian's recipe for peanut vanilla chiffon rolls! 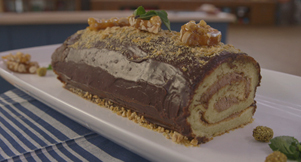 Peanut Cake Roll Go a little nuts and try out Darlene's recipe! 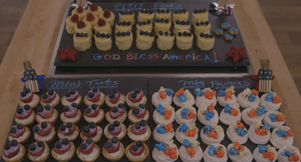 Showstopping Miniatures They may be mini but Brian's tart flags, pavlovas & lady finger geniose batter have big taste!